The Chairman of the Federation of Small Businesses (FSB), Mike Cherry, was pretty clear in his New Year message that the government must do more to listen to small businesses about Brexit.According to Cherry, ‘business confidence is on the floor and desperately needs lifting'. 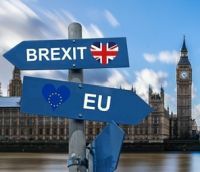 With the Brexit date looming, it is hard to find any small business owner that actually has a firm grasp on what the consequences of it means to their business in terms of growth, overseas trade, employment, or tax and investment. The biggest concern for most small businesses is the uncertainty over the whole process. The deals may have been discussed, amended and agreed in Brussels, but it is anything but in the eyes of small business owners who are no wiser to how their business will be affected after the Brexit timeline runs out. This uncertainty has been reflected in the performance of the FTSE 100, which has long been regarded as one of the best indicators of the UK's stock market and financial well being. With more multinational companies entering the index, the FTSE 250 might now be even more aligned to the concerns and issues of SMEs and small businesses in the UK. The uncertainty of the what and the when of Brexit means many businesses have already considered either moving their operation or part of their operation abroad in a similar vein to the decision of Dyson to move a substantial part of its operations to Singapore. One West Country fashion and apparel small business owner who was invited to talk at Westminster about the issue of leaving the EU with a no deal explained the difficulties his business and others like his would have with increased tariffs, including up to 16.9% on footwear, which would make him uncompetitive against other business located in the EU. Interestingly, not one government MP showed up for his talk, he said. Prior to the Brexit vote in December, there had been plenty of calls for ‘a no deal is better than a bad deal', but when a no deal involves reverting to World Trade Organisation rules for trading with the EU and no trade deals agreed elsewhere, it means higher tariffs for small business owners trading in the EU, making it competitively out of their league. Investment opportunities are also unlikely to help small businesses because of this uncertainty. Some have already decided - in order to protect their future business - to let employees go before the Brexit deadline in anticipation of further uncertain trading conditions. This is a situation that may continue until the deadline, primarily because Brexit advice to small businesses is still thin on the ground, with some businesses unable to find answers to their questions when contacting government departments. While the government has listened to the FSB regarding the distribution of big contracts to bigger firms that then pay smaller ones to do the work and effectively subject them to supply chain bullying, the government isn't listening as closely to the concerns of small businesses when it comes to Brexit. Small business owners are being left to make difficult decisions alone, affecting millions of employees in preparation for any number of potential Brexit outcomes, with little or no support form the government.